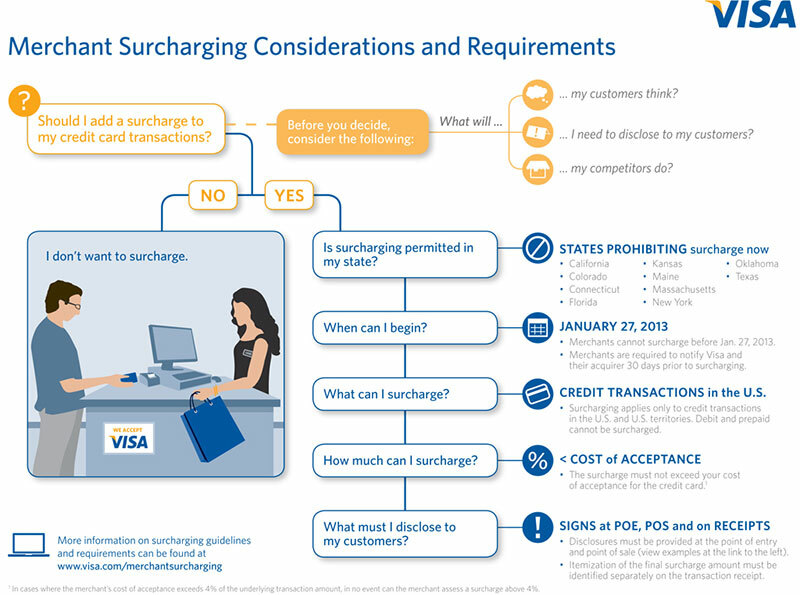 As part of a recent settlement in the United States District Court for the Eastern District of New York, card companies are required to implement certain International Operating Regulation rule changes, including the ability for merchants in the U.S. and U.S. territories to surchargecertain credit card transactions beginning January 27, 2013. Should I surcharge my customers? Which cards cost more to accept? Merchants pay a higher percent on any card that pays kickbacks to the cardholder in the form of points, miles, cash back, etc. These cards are typically marked as rewards or business cards on the front of the card (see examples below). As a merchant you are allowed to surcharge specific card types and card brands. This allows you to charge only cards that cost you a higher percentage. However, at this time there is no automatic means of doing so. Disclosure at the POS must detail the cards that will be surcharged.